Since it was first introduced in the 1920s, the word "widget" has commonly served as a catch-all term for any kind of hypothetical device. But now, in the online world of the 21st century, the widget has transformed into a very real and increasingly popular digital tool with an impressive array of applications for news and information. Online widgets offer a number of practical, low-cost advantages to trade show exhibitors and marketers. 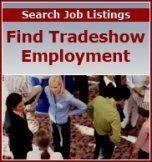 For example, trade show expert Lowell Nickens, president of Shop for Exhibits (shopforexhibits.com), has developed several free widgets that help people manage a number of vital exhibiting tasks, including promotion, budgeting, and graphic design. Before this type of technology came along, exhibitors had to work through their webmasters or through outside contractors to do these jobs. The process was time-consuming and it could be very expensive. "In contrast, these show planning tools are readily available and don't require the help of an expert to employ. Even the least technologically savvy of us will find them easy to use," Nickens explained. The calendar widget that Nickens created helps exhibitors and marketers maintain on their websites an up-to-date listing of shows and events they will be attending. The calendar provides your prospects and customers with dates and locations, as well as handy links to web pages of show sponsors for easy access to event agendas, registration and hotel information. In addition, the widget provides links to pages on your website to highlight products you may be featuring in a particular show. The calendar can be set up to match the style, color, and font of your website. Nickens created the Material Handling Calculator with the idea of helping exhibitors get a handle on one of the most onerous aspects of trade show participation. "Moving freight is the most expensive part of the trade show exhibition and the way contractors do distribution rates is often very hard to understand," he said. This calculator illustrates the various elements that compose the final drayage prices an exhibitor pays at trade shows. According to Nickens, "If you're aware of the major cost components that go into the final rate formulas, and the dramatic increases that will occur if you fail to meet certain deadlines, you will become a more knowledgeable and hopefully save some money." Nickens is quick to emphasize that since drayage contractors approach no two shows the same way, a calculator such as the one he offers for free can never be 100% accurate. Yet, it will get you within plus-or-minus 10 percent of the final invoice. Another potentially daunting chore for trade show exhibitors is matching the size and resolution of the graphics they are using with the dimensions of their display. With the Resolution Calculator, you enter the image height and width and the calculator tells you the pixels you need to print. This removes the need to rely on a graphics design professional to figure it out. Another of his trade show planning tools, the Total Budget Calculator, factors in expenses involved with exhibiting at a trade show that many people may overlook. It mentions everything from taking a taxi to the airport to checking your bags to other costs you can expect to incur. Nickens expects to see more widgets and digital event planning tools developed for exhibitors and marketers in the years to come to further enhance the trade show experience. "Widgets are a real breakthrough, especially for those who are still learning about the trade show industry."